ABUJA (GUARDIAN NIGERIA)--The way Nigeria is run since the advent of democratic rule in 1999 and especially the current administration should worry everyone who cares about the nation’s future and generations yet unborn. Indeed, the situation is very complicated when you try to measure the performance of government against their budget among others. The leaders who of course, are old people lack fresh ideas, focus, vision and a seeming insensitivity to public feelings. Therefore, the youth should rise up and play a central role in shaping the nation’s economy. Young people should stop their continued passive position on issues of political leadership because it will do the nation no good. Nigeria’s youth should see themselves as a political force that will bring the desired change Nigerians have been yearning for. No doubt, each country is an example unto itself but there are also trends in common. For instance, Buhari’s announcement to seek a second term the other day, shows that power is gloriously seductive and hard to relinquish. On many occasions around the world and particularly in Africa, the president is almost always voted or forced out. There is the case of the immediate past South Africa’s president, Jacob Zuma who was forced to resign, Libyan strongman Muammar Gadaffi was chased out and eventually killed, Yahya Jammeh of The Gambia made a u-turn after accepting election defeat. He is currently on exile in Equatorial Guinea. Former Zimbabwean president, Robert Mugabe was forced to resign by his country’s military after over three decades in power. Nigeria’s former president Olusegun Obasanjo was alleged to have coveted a third term, an affair that hit the rock and caused bad blood in the polity then. It is no longer news that former president Goodluck Jonathan suffered election defeat in his quest for a second term. The news now is that he enjoys handshake across the world celebrated for a peaceful handover of power. One wonders if Buhari could convince Nigerians during 2019 elections campaign and in doing so, try to specify one, at the most two accomplishments by which he should be measured to earn re-election. Buhari should have done something unique by stepping down the offer to re-contest and focus his thoughts and concern on his health and family. This is because his presidency has been characterised by negative narratives from all quarters and neither him nor his party has answers to why the austerity scourge is biting Nigerians so hard. Even the citizens can’t find words to express their dilemma over the economic hardship. However, the APC is quick to portray the opposition as enemy and argues that the immediate past government caused the woes facing the nation today. In order to justify their claims and to score cheap political points, the APC-led government chose to ignite the already tensed polity with the recent release of alleged looters’ list. Of course, Buhari government intends to do nothing more draconian with that list other than the usual television drama and newspaper advertisements meant to scare and intimidate political opponents. If Buhari’s government wants to fight corruption, it should come all out and fight it instead of flying a kite in the name of alleged looters’ list. By the way, did APC promise to fight corruption if elected by releasing and brandishing alleged looters’ list? What is the use of a list of offenders without prosecution in courts of law? From all indications, the mentality that APC has towards the opposition makes the ruling party to lose sleep and focus. 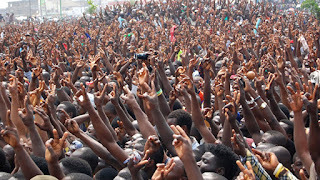 The party takes delight in blizzard of lies, accusations and tries to obfuscate certain things Nigerians ought to know. For example, how much is the government paying as fuel subsidy, what is the president’s state of health and how much was spent on his last medical treatment? The ruling party has not only succeeded in putting the country in grave economic difficulty but has created a spiral of growing suspicion and confusion among the people. Over the years, Nigerian politicians are known to enjoy vaunting: They use words to make their greatest fear and tough opponents look like Liliputians. Hence, they speak and always consider the youth as obviously unripe, possibly naïve and certainly a problem to be solved because the youth are puny and inexperienced in politics. However, politicians don’t see those short-comings when they engage young people in ballot box snatching and stuffing, electoral violence and political thuggery for them to win elections. Therefore, the youth should freeze themselves from cheering politicians or embarking on protest, chanting slogans at a demonstration or fuming on social media over irregularities or governments’ inability to fulfill their promises. Indeed, delving into politics is just one of the many ways young people can show their distaste for bad government. It is high time for youth to take the mantle of political leadership in the country and stop being comfortable in keeping far distance from politics. Again, the big hope for young people is that they have the population. Understandably, young people naturally have their differences and rivalries, but they also have more in common with one another which will be in their favour as a united force. 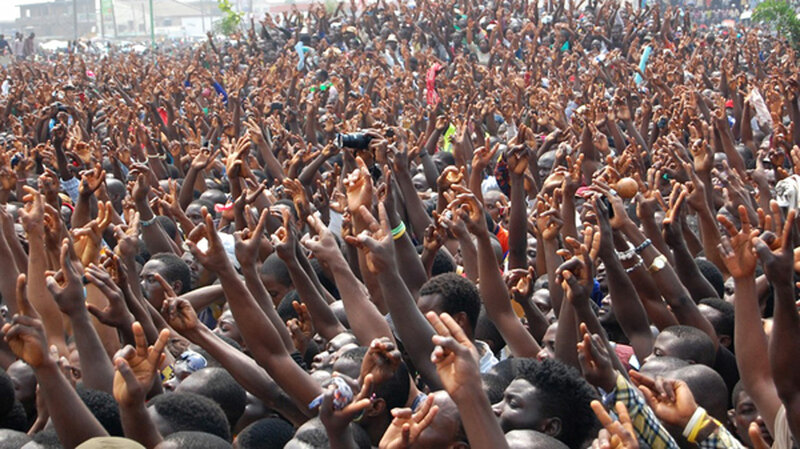 No doubt, the youth need an exponential leap forward in their quest for political leadership. Several reasons explain such a quantum leap. For instance, each time we elect an old person as president, we set our wrist watch back 50-years. Also, the worries for which Nigerians voted the ruling party have not really disappeared. On the contrary, they emerged with vengeance to hunt Nigerians on various fronts. Under Buhari’s administration, insecurity, economic hardship, unemployment and lack of basic human necessity are daily threat to Nigerians. Without qualms, herdsmen have clearly taken pride as they enjoy the impunity to kill people across the country. The government’s usual solemn silence to the herdsmen killings was recently broken in Britain. President Buhari comments in response to the Archbishop of Canterbury, His Grace Justin Welby regarding the killings is in itself a killer point. Buhari claimed that the herdsmen who have killed hundreds of Nigerians, particularly since the inception of his administration were trained and armed by the late Libyan leader, Muamman Gadaffi. Regrettably, president Buhari will feel confident as having said the truth about the lingering herdsmen crisis. But, unknown to him, he has just discouraged foreign investors who would like to come into the country. No doubt, the government’s quest to drive the economy through agriculture by wooing foreign investors will definitely suffer a setback from the president’s claim because no sensible investor will invest in a country invaded by militiamen. Indeed, the APC is a peculiar sort of party. It is bent on searching for a black cat in a dark room without any illumination or knowledge if the cat is there or not. Young people should, therefore, be given a chance to govern the country. This is because a youthful government will not put the country in grave economic and security danger as witnessed today. They rather would ignite an aggressive drive to revive the ailing economy, improve security and halt unemployment among others. Buhari’s regime, in just three years has borrowed more money than its predecessors in 16 years, thereby mortgaging the economic fortunes of the youth and future generations. It is up to Nigeria’s youth, the ball is at their feet to build their future.